DACA-Castaic, LLC is the land owner of the 1,167 acres of Tapia Ranch and demonstrates its leadership in residential development through design innovation, superior craftsmanship, and resposiveness to the needs of its customers. Jon Myhre is the project manager of Tapia Ranch and has been involved in entitlements, land development, and the construction industry since 1987. Through those years, his experience has ranged from providing civil engineering services to overseeing a homebuilding division in a Fortune 500 company. Other roles have included project management and land acquisition for major builder/developers. 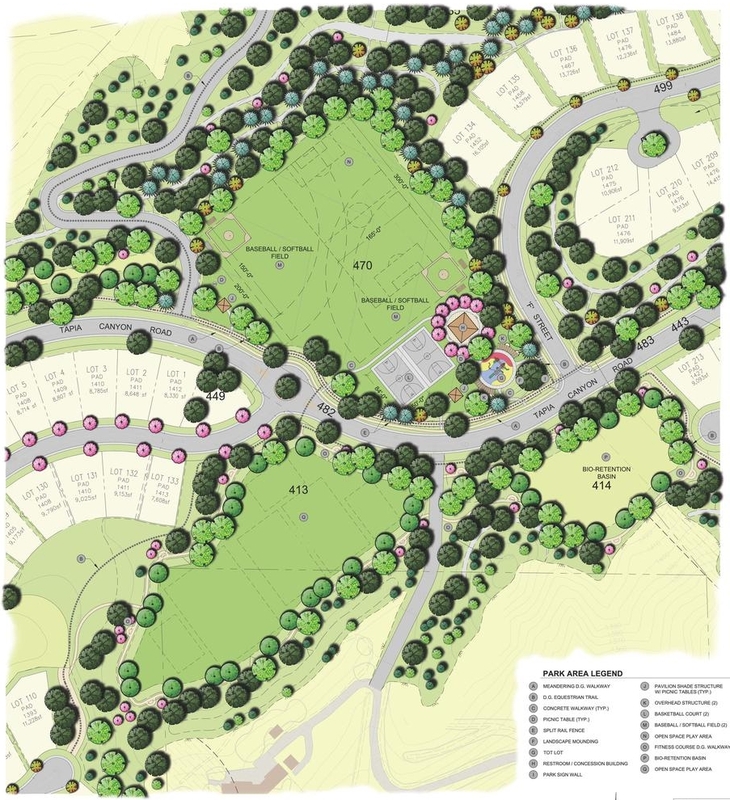 With this experience firmly embedded, Tapia Ranch will succeed in providing an intergration of high-quality housing with open space and recreational ameneities to the greater Santa Clarita/Castaic community. The new park is centrally located in the planned community and interconnected with on-site approved LA County Multi-Use Trails and off-site connections to the Community Park on Castaic Road located a short distance over the new Castaic bridge and connected to approved regional trail connections. Tapia Ranch will provide an on site recreation area of 11.46 acres with an estimated park improvement value of approximately $1,000,000. An additional 905 acres of natural open space criss-crossed with miles of local and regional trails will be preserved with an innovative clustered design. 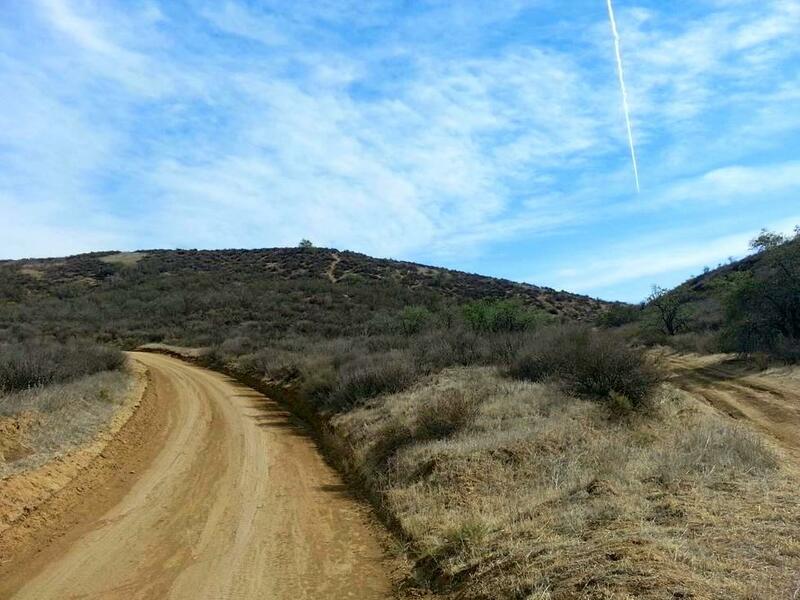 A network of several miles of hiking, biking, and equestrian trails will meander throughout the rural Project area providing connectivity to the approved LA County multi-use trail system. Tapia Ranch trails are currently located on both private property and County-owned land and are not available to the public. However, Tapia Ranch proposes to provide 41,000 lineal feet (5.5 miles) of County-owned and planned regional trails to traverse the site. 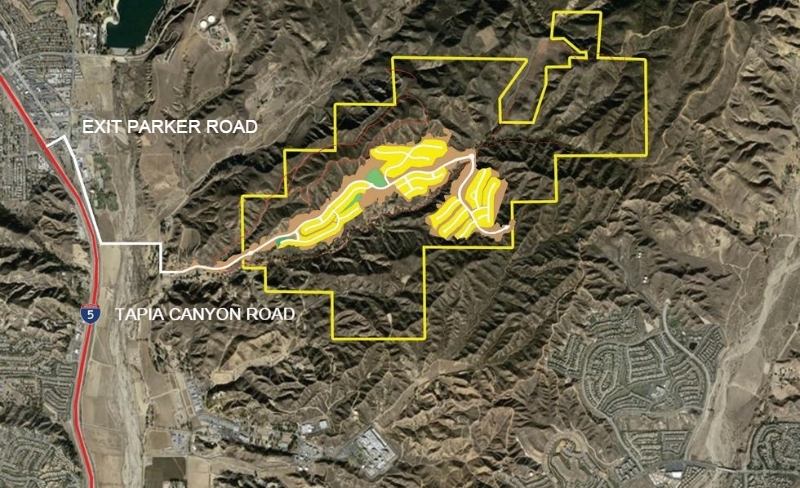 The Hidden Valley of Tapia Ranch will embody a premier residential and recreational design concept that embodies the natural preservation objectives of the Castaic Town Council community with a residential enclave design and average minimal grading over the 1,167 acres while providing the needed residential housing and circulation program so desperately required in our growing LA County and Santa Clarita Valley areas. Tapia Ranch will invest $1 Million Dollars in the construction of world class soccer fields for youth leagues in the community. This aim will promote quality soccer programs and allow hundreds of kids to get in the game! Tapia Ranch is working with community stakeholders and groups such as AYSO to bring these fields to life. If would like to see new and improved soccer fields in Castaic, you can help today by sending a letter of support through the "Get Involved" tab. Tapia Ranch is located earsterly just off the Parker Road exit on the I-5 Freeway in the scenic Santa Clarita/Castaic Mountain area. Castaic, California is an unincorporated community in Los Angeles, approximately 40 miles from downtown Los Angeles. The origin of the name Castaic is the Chumash Native American word Kashtek, meaning "eyes." 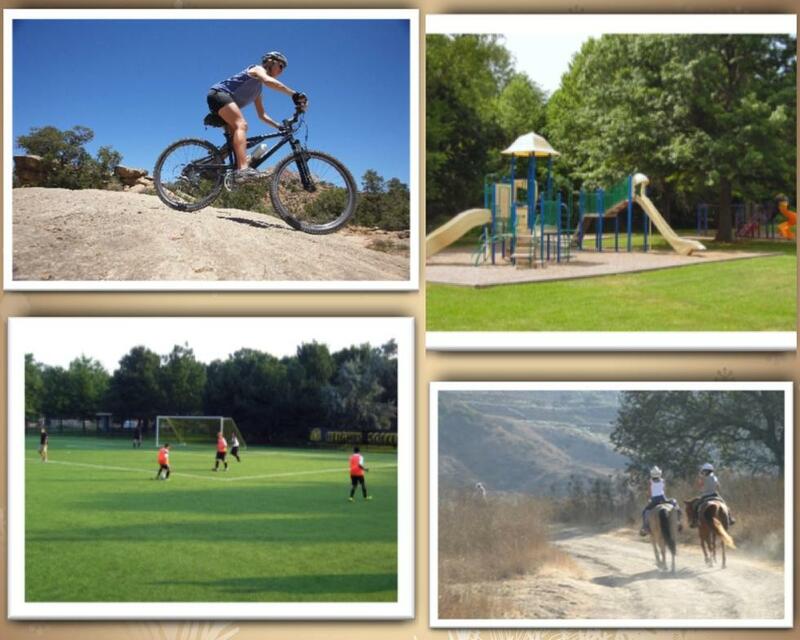 Tapia Ranch will open many eyes with its enclave design and recreational activites and amenities. Average Net Lot Size: 10,000 Sq. Ft.
Tapia Ranch is located in the mountainous "hidden valley" virtually unseen from the outside world. Its enclave cluster design minimizes the development "footprint" to 157 acres, leaving 1,010 acres as permanent open space. 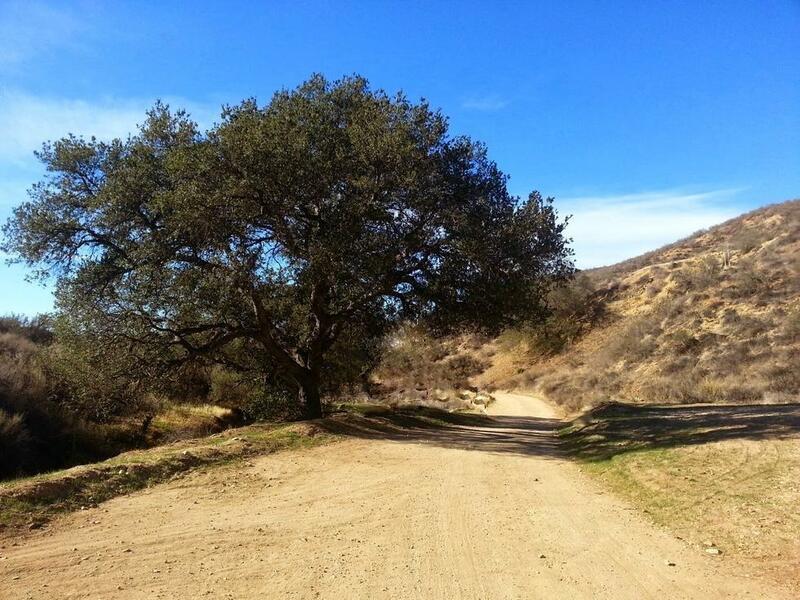 The Hidden Valley of Tapia Ranch provides a number of major elements to the greater Santa Clarita/Castaic community. 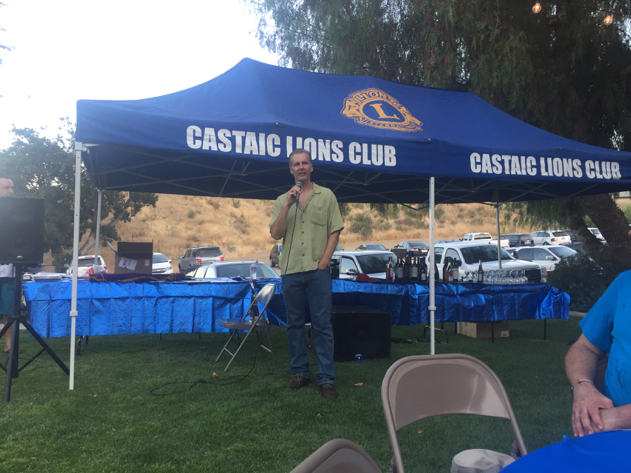 Tapia Ranch was pleased to participate at the Castaic Lions Club Community Update forum over the weekend. The event drew a large crowd, including Castaic business owners, representatives from the local school districts, and developers that updated the community on their various projects. Our Tapia Ranch team spoke at the event and provided attendees with an overview of our project and a status of where we are in the process. The Castaic Lions Club was founded in 1954 and services the communities of Castaic, Val Verde and the Santa Clarita Valley. The Lions Club gives back to the community through various community service activities and events. They are a critical part of our local community. Thank you to the Castaic Lions Club for all that you do! The Los Angeles County Sheriff’s Department, “Fun in the Sun Chili Cook Off,” is right around the corner! Tapia Ranch is a proud supporter of this annual event, which will take place on Saturday, October 14 from 11am to 4pm. This is a fun family friendly event that will feature over 25 chili booths, live music, crafters and vendors, a classic car show, a kids zone and LASD displays. To gain access to a free chili tasting from each booth, an adult chili card can be purchased for $10.00, a junior tasting card for $5.00, and children under 5 years old are free. All the proceeds from this event are donated to the Special Olympics Santa Clarita & Tri-Valley. We hope to see everyone there!